we recently had a super cute family move into our ward with a little girl not much older than olivia and when you're in an older area with not a lot of young families you seem to pick out those few that are about your age and have kids around the same age and click! we got to know this cute family and their little girl penny is such cutie, however i noticed that her parents would feed her through a feeding tube and i couldn't help but wonder why. after getting to know danny and jaime (penny's mom and dad) i asked jaime the awkward and curious question of what exactly her diagnosis is and what causes the need for the feeding tube. jaime explained that penny has GSD which is a very rare genetic disease that affects penny's ability to metabolize stored sugar when her body needs it which causes dangerously low blood sugar which in turn causes seizures, possible brain damage and even death (you can learn more about GSD HERE). the way they are able to keep penny's blood sugar at a normal level is to feed her every hour and a half and to feed her a mixture of cornstarch and medicine and continually check her blood sugar throughout the day. i was in awe. this amazing mom ended up quitting her job to not only be a full time mother, but a full time feeder for her baby girl. 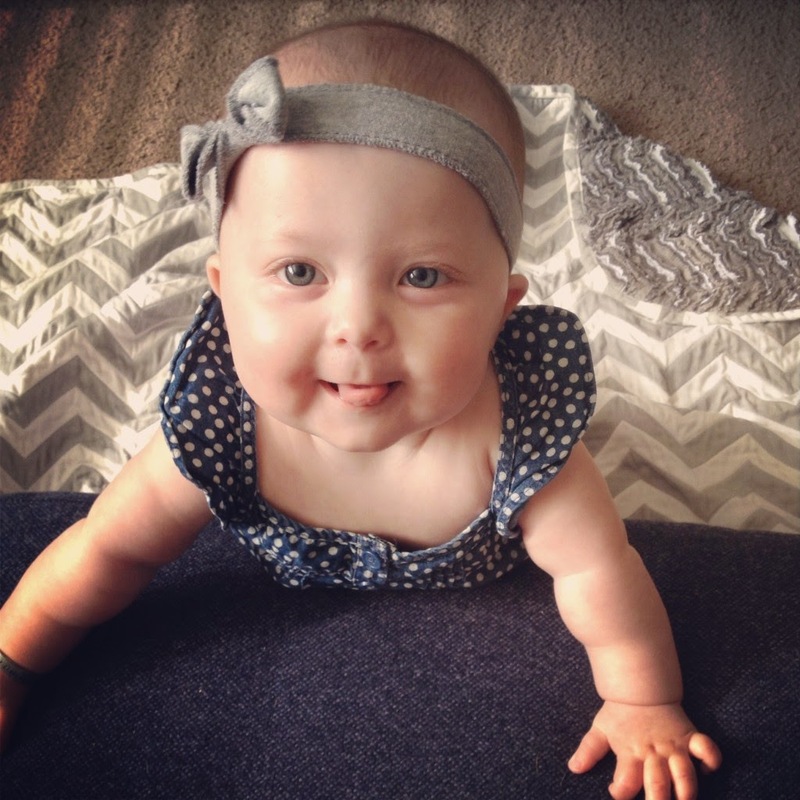 penny is such a happy baby and so sweet that it hurt me even more to imagine the struggle they face due to this rare disease! i was even more amazed once i read THIS which only gives me a tiny idea of what not only jaime, but penny goes through on a daily basis. so when jaime said they were having an auction to raise money for GSD i wanted to do anything i could to help get the word out! so many cute companies have come together to put on this amazing auction to raise money for this great cause and it is actually going on right now until the 5th of april! you can see the items being auctioned HERE and HERE and i am definitely planning to bid on a few of these adorable items! you can also see all the information for the auction HERE if you have any questions! What a lovely tribute to a lovely family!